NYC Pride is returning to Hudson River Park's Pier 26 in Tribeca with extended hours! Doors open at 3 p.m. Dance on the Pier, now in its 29th year, will again serve as the largest fundraiser for NYC Pride and our LGBT nonprofit grant winners. This year we are continuing to bring the biggest and best talent from around the world to our stage with the sounds of DJs Wayne G, The Cube Guys, and Ralphi Rosario. 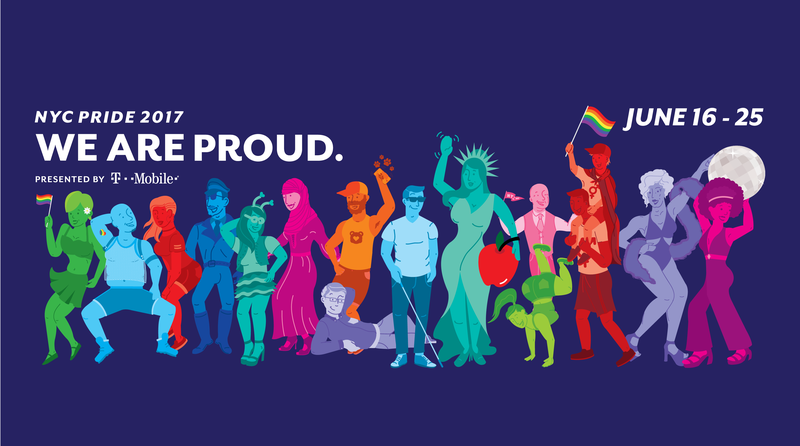 All proceeds from the Dance on the Pier benefit New York City's Official Pride events and local LGBT community organizations. General Admission includes entry into the space. VIP ($400 value) includes VIP admission to the event, plus express entry to skip the lines, complimentary Reyka Vodka, Hendrick’s Gin, Milagro Tequila and Monkey Shoulder Whisky cocktails, Bud Light and Wine, elevated VIP areas, and private restrooms. VIP Rooftop & Pier Dance General Bundle ticket includes a savings on one (1) General Admission to VIP Rooftop & Dance on the Pier. Fantasy Bundle ticket includes a savings on one (1) General Admission to Fantasy, VIP Rooftop, Dance on the Pier and one (1) VIP ticket to the Pride Kick-Off Rally. Non-Alcoholic Drink Package includes five (5) non-alcoholic drink tickets. Does NOT include entry into the event. Bud Light Drink Package includes five (5) Bud Light drink tickets. Does NOT include entry into the event. Spirit Drink Package includes five (5) spirit cocktail drink tickets. Spirits include: Reyka Vodka, Hendrick’s Gin, Milagro Tequila and Monkey Shoulder Whisky. Does NOT include entry into the event.